Dubai, UAE, March 20, 2019: To all the Mothers out there, this one is for you. 800 Degrees Pizzeria is treating Mothers to our irresistibly delicious specialty pizzas or pastas free on March 21st. 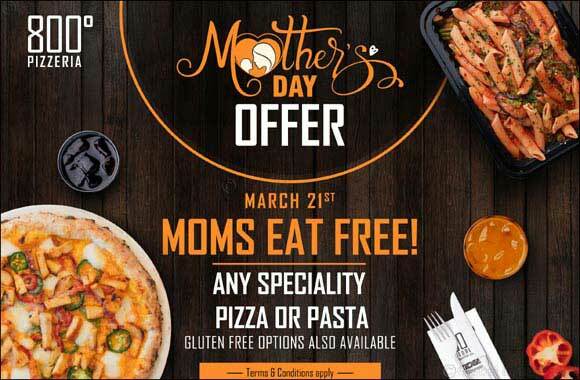 Bring your mother the tastiest gift ever on the house. Branch- Mall of the Emirates & Me'aisem city centre.